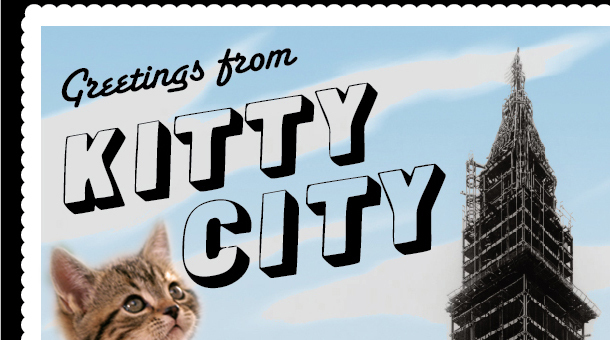 A team of humans, including city planners, have designed a miniature city for cats, called Kitty City. The meowtropolis will have its ribbon cut on June 1st, at which time tons of adoptable cats will take over (the event on Saturday runs noon to 6 p.m.). The 1,700-square-foot cat city is more than an awesome way to get orphaned cats into forever homes, however. The city, which is at Flux Factory in Queens, was created in workshops over five weeks as a way to “encourage shared decision-making power and challenge the way we think about the urban environment.” It features buildings, thoroughfares, parks, water, transportation, and sanitation systems, housing, commercial and cultural districts, and a Museum of Natural Cat History!!!! Next can we let cats take over the panorama? Sunday nights through October. Featuring Lena Hawkins & Michael DiPietro, Gil Lopez, Ayden Grout, and Will Owen.